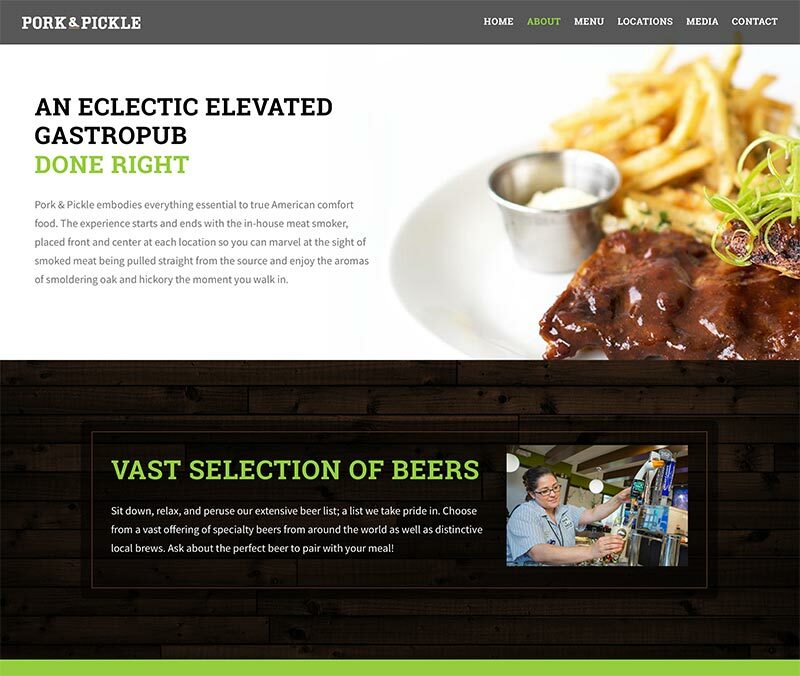 Pork & Pickle’s managing corporation stressed the importance of imagery for the restaurant and pub’s first website. 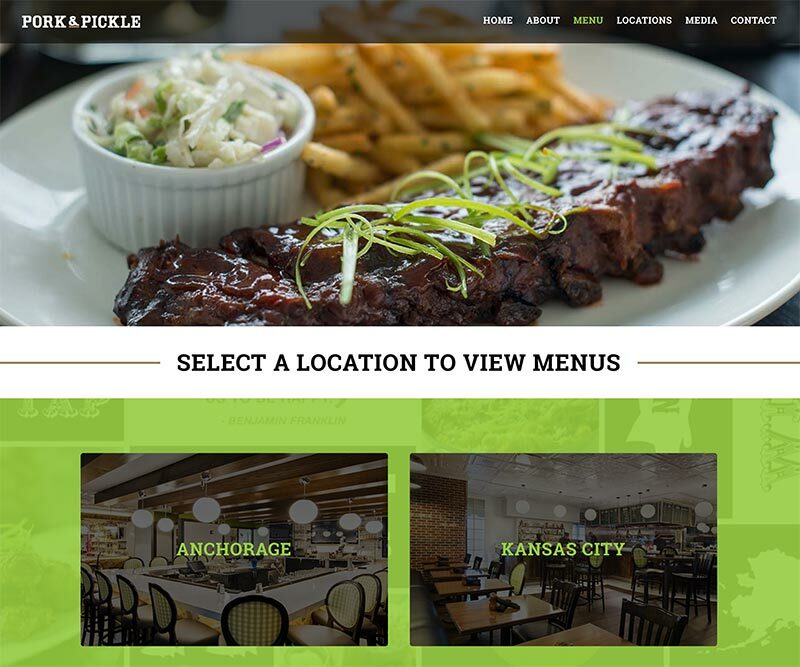 Their stunning professional photos make a high-impact statement starting on the home page and carried throughout the site in assorted galleries. 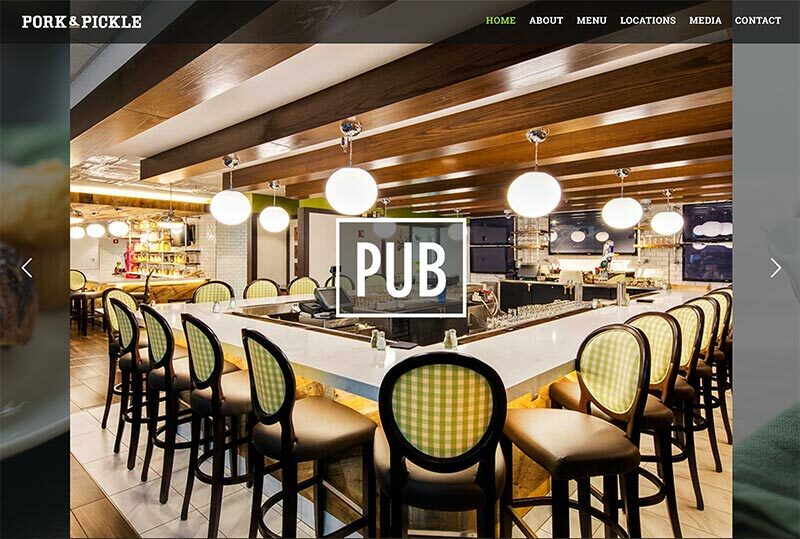 The website is warm, inviting, and easy to navigate.